Chinese zodiac signs are a rather specific type of imagery for those seeking body art.Like most designs based on the zodiac, the various animals that make up the Chinese zodiac carry a variety of meanings that all point to certain aspects of a person's personality. Tattoos based on Chinese zodiac signs are based on the animals that make up the twelve year cycle of the Chinese zodiac. Each animal has different attributes, as you can imagine, that are attributed to the person carrying the sign. In a way, it shows that the person wearing the sign and born within a sign can possess the same qualities as that animal. The twelve animals that make up the Chinese zodiac signs are the rat, ox, tiger, rabbit, dragon, snake, horse, goat, monkey, rooster, dog, and pig. As you can see, there are twelve basic symbols that you can choose to base your tattoo off of. Though we will not go in to a very deep set of meanings for each of these symbols, we will give you a few examples of the meanings behind them. For example, the Dragon can represent intellect, eccentricity, pride, and on the negative side, arrogance. The rat, as another example, can represent tenacity and sensitivity, and on the negative end, it can represent envy or being critical. 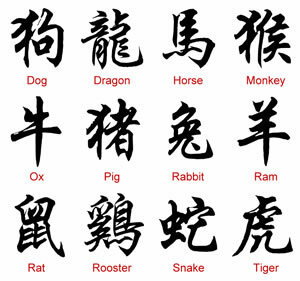 These are only a few brief descriptors of the symbols amongst the Chinese zodiac signs, and there are many more examples even for just the two animals explored here. Look up your own sign, and see if you like the imagery involved, and see if you feel it represents you. You might find it to be one of the best symbols for your personal tattoo collection. 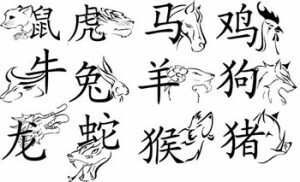 Obviously, Chinese zodiac signs provide an interesting range of symbols and options that make them ideal for your next piece of body art, and the variety of meanings in each one can help you understand whether or not you want to permanently affix one to your body. Chinese zodiac signs are a rather specific type of imagery for those seeking body art.Like most designs based on the zodiac, the various animals that make up the Chinese zodiac carry a variety of meanings that all point to certain aspects of a person’s personality.